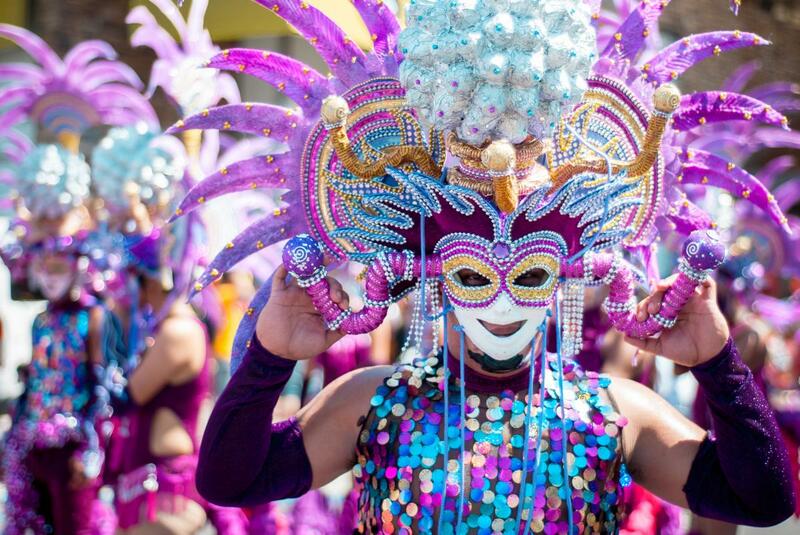 Look out Rio and Venice, Philippine festivals are hot on your tail. And we all know we don’t need an excuse to party. Come and bask in the bright glow of every color imaginable and feel your heart pumping with the drums. Feel the stirring excitement washing over you and bathe in the irresistible aroma of street food. If you want to feel 100% alive, make your way to one of the many, yet one-of-a-kind festivals found in every corner of the Philippines. Read on to learn about five Filipino festivals that will take your Philippines trip to the next level. 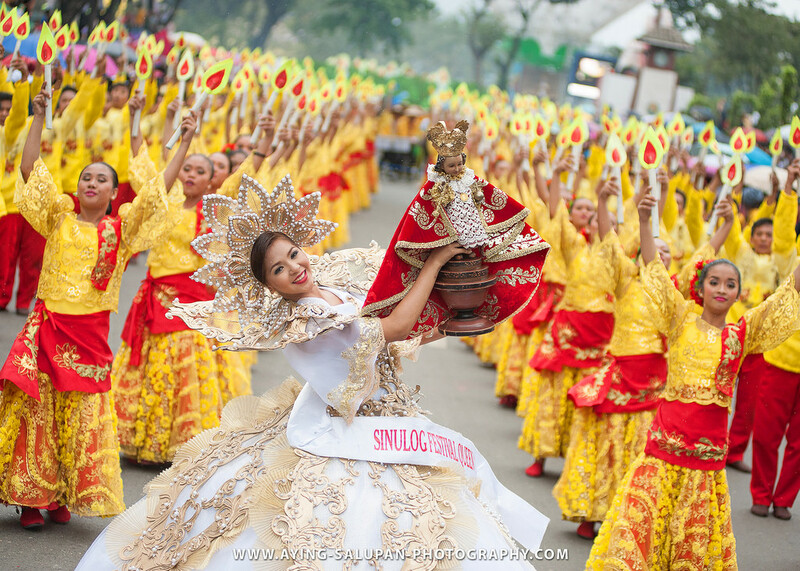 The Sinulog-Santo Niño Festival is one of the biggest and boldest events in the Philippines calendar. An impressive 1-2 million visitors flood the streets each year to experience this magical event. Occurring on the third Sunday of January each year, it is a cultural and religious festival celebrating and honoring Santo Niño. The festival’s history all started with the statue of Baby Jesus (the Santo Niño de Cebú), pictured above. The Spanish explorer Ferdinand Magellan gifted this statue to the leader of Cebu back in 1521. This was an important milestone in the country’s Catholic history. Remarkably, the original statue is still in Cebu to this day and is dutifully protected by bulletproof glass in the Basílica Menor del Santo Niño. The festival runs for nine days finishing with the Grand Parade, which it is celebrated with dancing, music, beauty pageants, and, street parties at night. This festival even gave birth to its very own dance, which you can identify by a distinct forward and backward movement. When: January 12-22, 2018 with the Grand Parade on the 21st. Can there ever be too many hot air balloons? I think not! 2018 marks the 22nd year of the Philippine International Hot Air Balloon Fiesta. As the biggest and longest-running aviation sports event in the country with 100,000+ in attendance each year this event is in a league of its own. 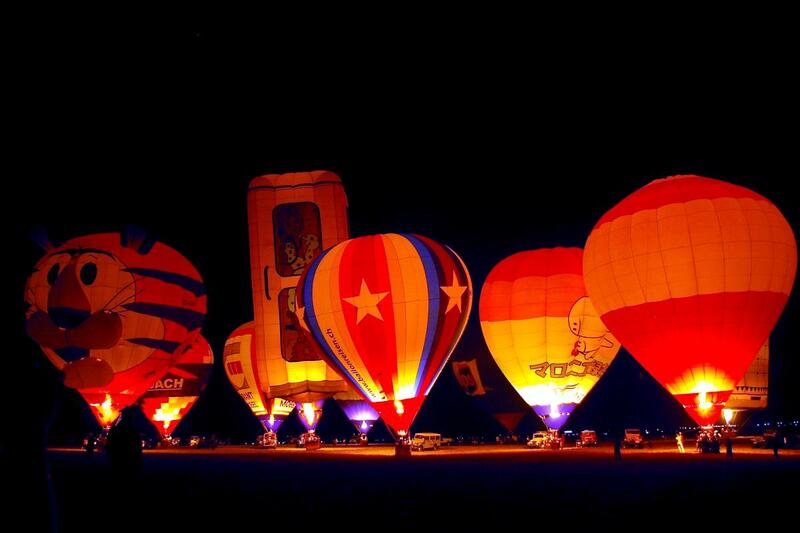 Last year there were thirty hot air balloons and over a hundred balloon pilots from all around the world. Other activities include skydiving, kite flying, helicopters, aerobatics, and plane flybys. Don’t let another balloon float away from you, get yourself to this Filipino festival stat! The Moriones Festival, known to the locals as Moryonan, is celebrated during Holy Week (the week before Easter). Many people dress up as “moriones”, which involves wearing a costume of a Roman soldier. It is unclear whether the costumes have always included washboard abs, but no one seems to be complaining. Participating in this festival is usually a vow of penance or thanksgiving and often involves a re-enactment of biblical events. 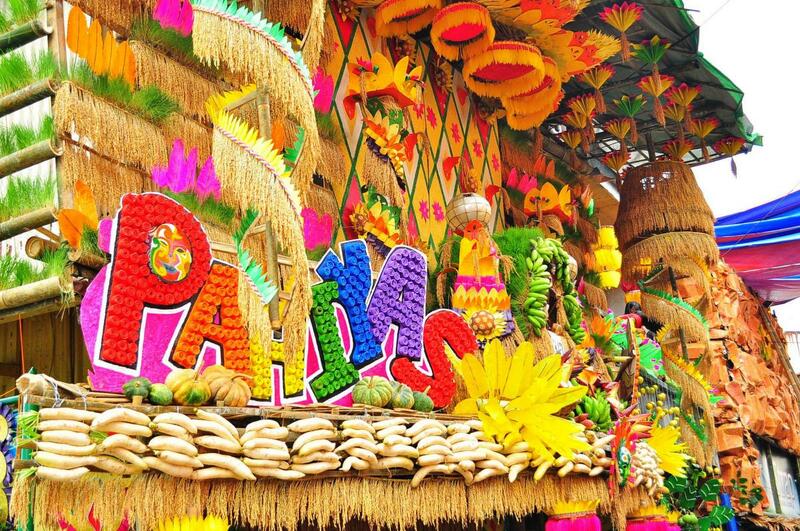 Pahiyas festival is a colorful harvest festival honoring the patron saint of farmers – San Isidro de Labrador. The festival includes a grand parade of beauty queens, farmers, marching bands, and floats. Every farmer decorates their house with colorful rice wafers, fruits, vegetables and other handicrafts. The name MassKara means a multitude of faces and comes from the joining of two words, mass meaning many, and cara meaning face in Spanish. Maskara is also the Filipino word for mask. MassKara has been running since 1980, in Bacolod, otherwise known as the city of smiles. In the past, the masks were inspired by native Filipino style, but are now heavily influenced by the Venice Carnival and Rio Carnival. A more recent addition to the festivities is the Electric MassKara, which involves night parades with neon and LED lights galore. The Philippines has been named the 3rd happiest country in the world in 2017. I don’t know about you, but I think these lively and positive festivals have something to do with it! If you are looking for a refreshing and exciting experience, do not miss your chance to visit a Philippine festival. Did you know that 1 in 5 people who visit the Philippines book with ASAP Tickets? Learn how to get the best flights to Manila here and find out how to book flights to Manila. Call one of our expert travel agents at 844-300-7983 to get your discounted tickets. Festivals in the Philippines are on all year long so you can check one out any time of the year. Travel safe and stay tuned for more travel tips from the ASAP Tickets team on our cheap flight blog. I’m just wondering why there was no mention of the Ati Atihan Festival in Kalibo, Akkan which coincides withe the Sinulog Festival in Cebu. Nearly every region of this tropical country celebrates colorful and vibrant festivals annually! Unlike other countries, the Philippines is known to have a long list of festivals. If you manage to visit at least one of these festivals, you just fall in love with this country and will look for the opportunity to visit it as often as possible.